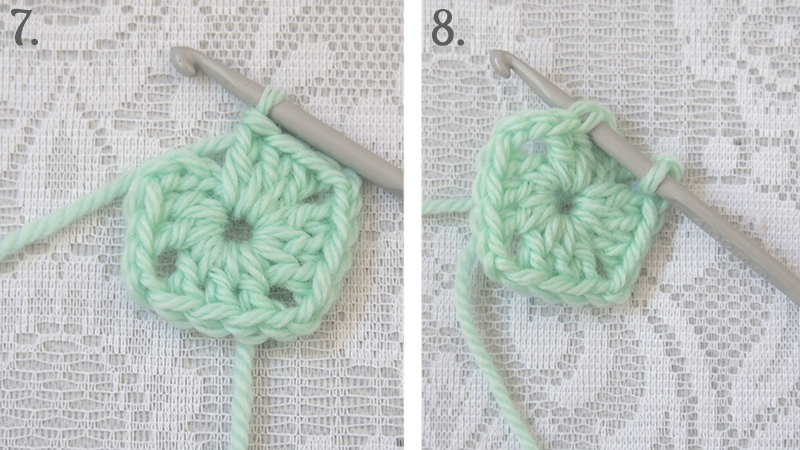 Today I'm sharing a tutorial on how to crochet a granny square. 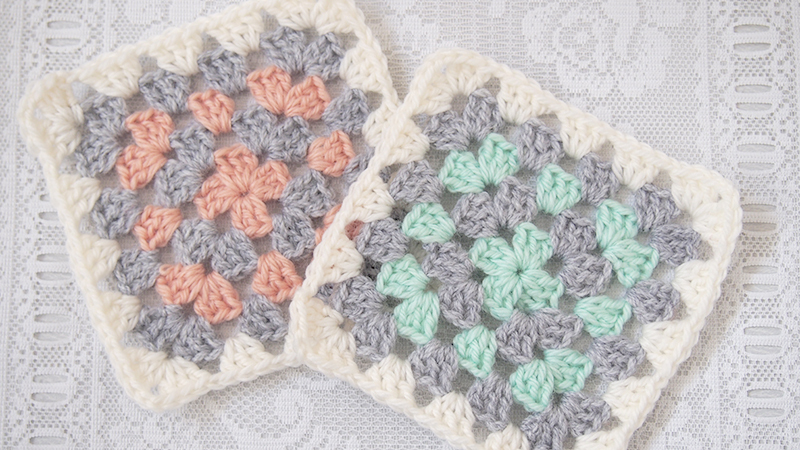 Granny squares are super easy to make once you know how, and the end result is adorable! 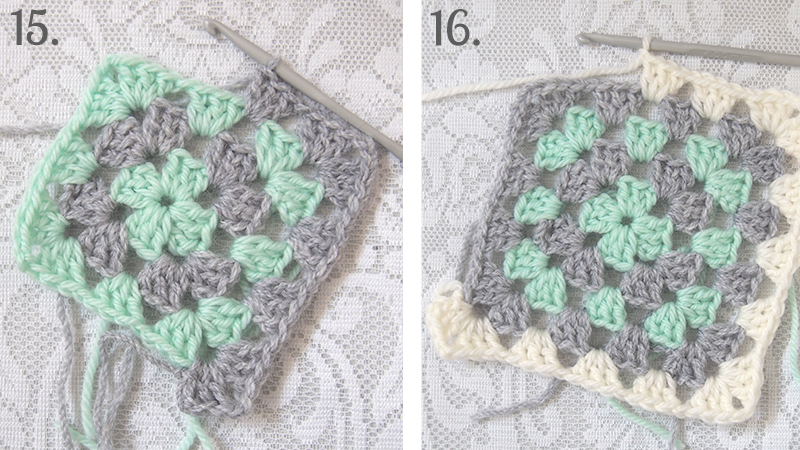 At the moment I'm making a granny square blanket and if you would also like to, then hopefully this will help you get started! 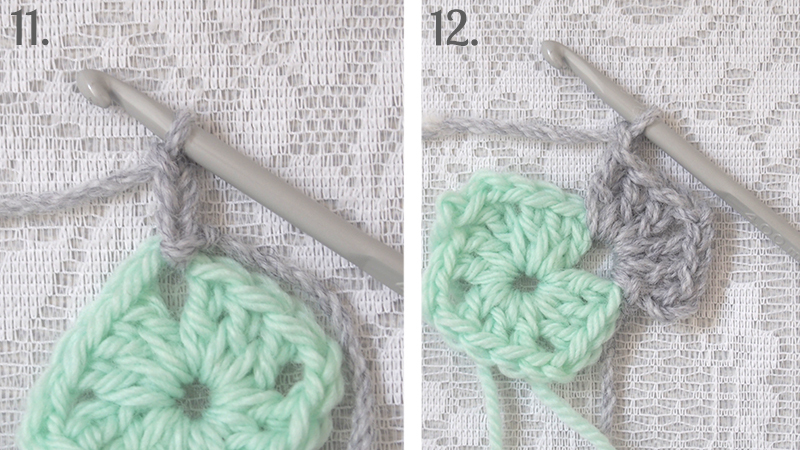 Crochet terms are different all over the world, but for this tutorial I will be using the Australian terms (the same as the British terms, I'm pretty sure!) Okay, let's get started! + Some cute and colourful wool. 1. 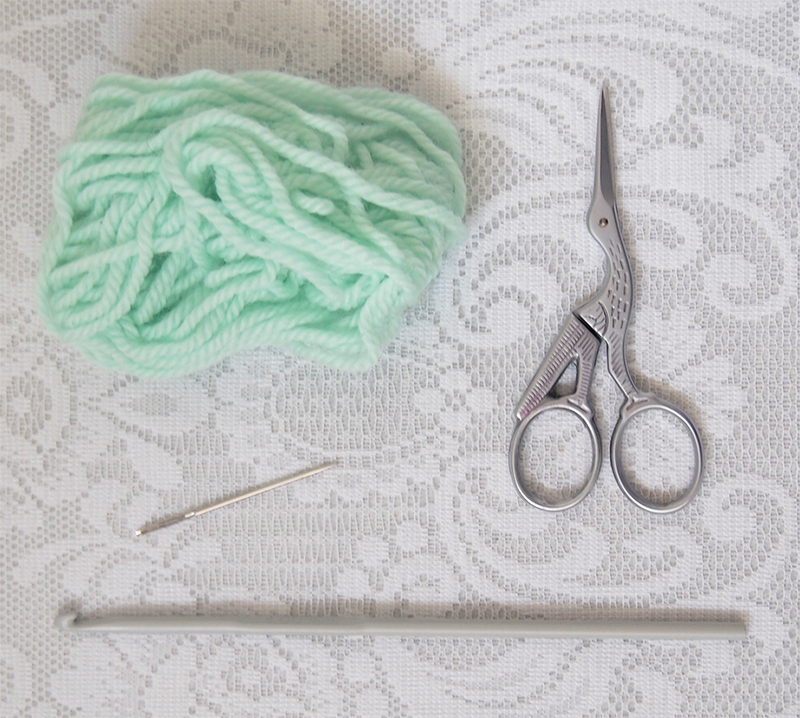 To begin, make a slipknot with your first choice of wool and thread your hook through it. 2. Make four chain stitches, letting the hook do all of the work and making sure they aren't pulled too tight. 3. 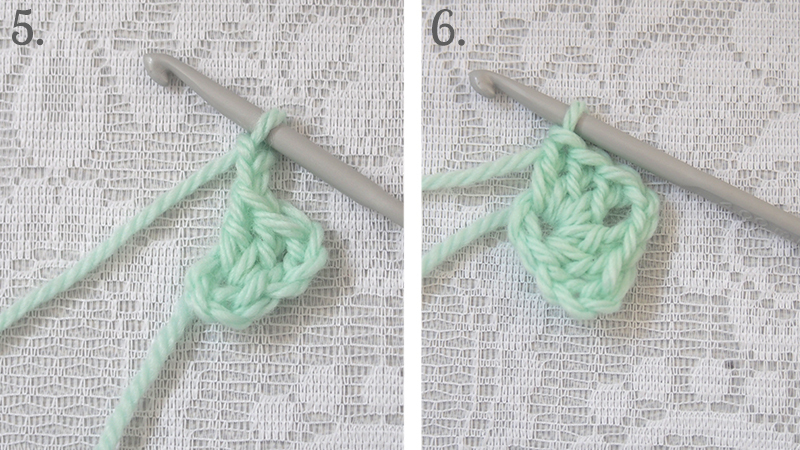 Join the chain stitches with a slip stitch into the first chain stitch, creating a ring. This is the foundation for your square. 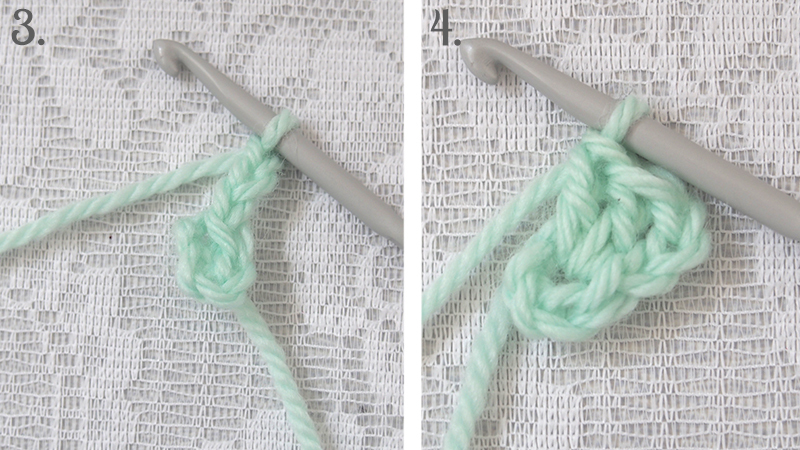 Make three chain stitches (this creates the first treble for the round). 4. Next to the 3 chain stitches, make two treble stitches. This is the first cluster of stitches. 5. 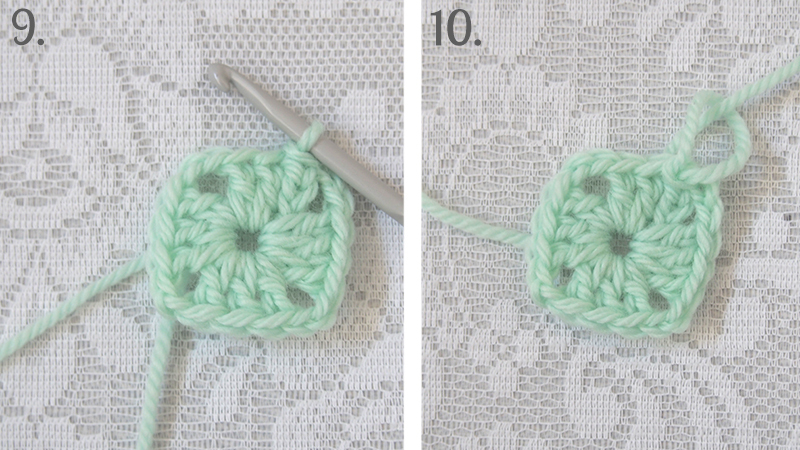 Make two chain stitches in order to create the corner of your square. 6. Make three more treble stitches to create the next cluster. 7. Repeat steps 5 and 6 another two times to create all four clusters. 8. 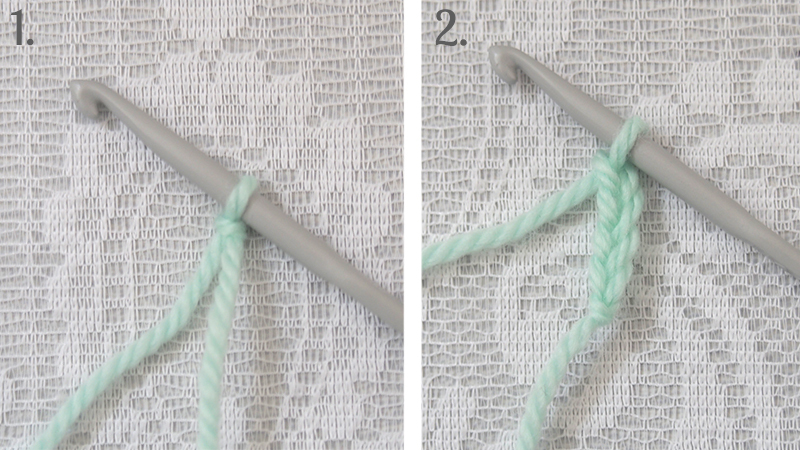 Make two chain stitches and poke the hook into the top edge of the first treble cluster. 9. Slip stitch into the top edge of the first treble cluster to end the first round. 10. Finish the first round by cutting the wool and slipping the thread through to hook loop and pull tight. 11. To begin the next round, take your second choice of wool and slip knot it onto the hook. Then slip stitch into a corner of the first round and make three chain stitches. 12. Similar to the first round, make two treble stitches next to the three chain stitches, then make two chain stitches and make three more treble stitches to make the first corner of the second round. 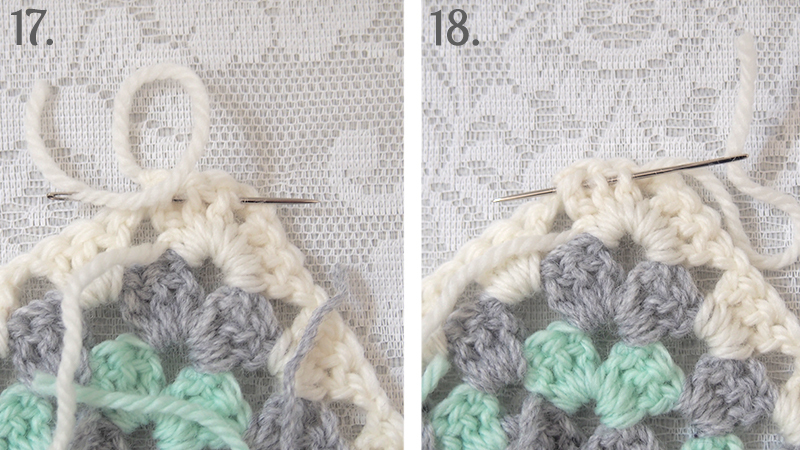 Make one chain stitch to create the gap between the corner cluster and the next cluster. 13. Repeat this three more times to make the second round, remembering to make two chain stitches in between the corner clusters and to only make one chain stitch in between all other clusters. Finish off round. 14. Take your third choice of wool and repeat the same steps as for round two. Each round has more clusters then the last. 16. ...and your fifth choice of wool. 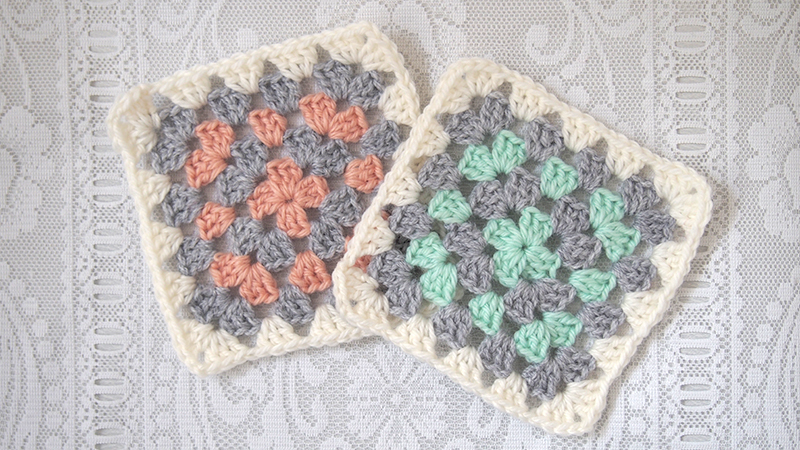 I have chosen to only have five rounds for my granny squares but you can choose to keep going for as little or as long as you like. 17. To finish your granny square sew up all of the ends by threading the tapestry needle and threading through 3-4 stitches at the back of the granny square. 18. Then thread through the same stitches again but this time thread the other way to ensure the wool won't some undone. Repeat for all of the ends. As this is the boring part of crocheting, I like to stitch each finished square as I go so I don't end up with lots of squares to sew up right at the very end. And there you have it! 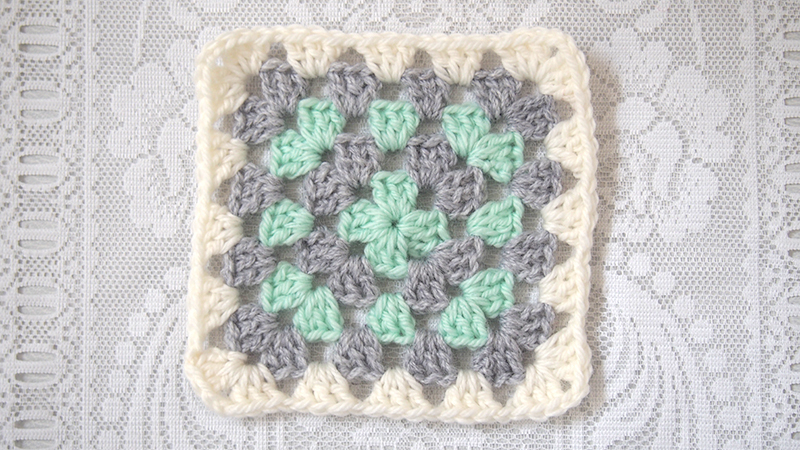 An easy, and super cute, granny square! 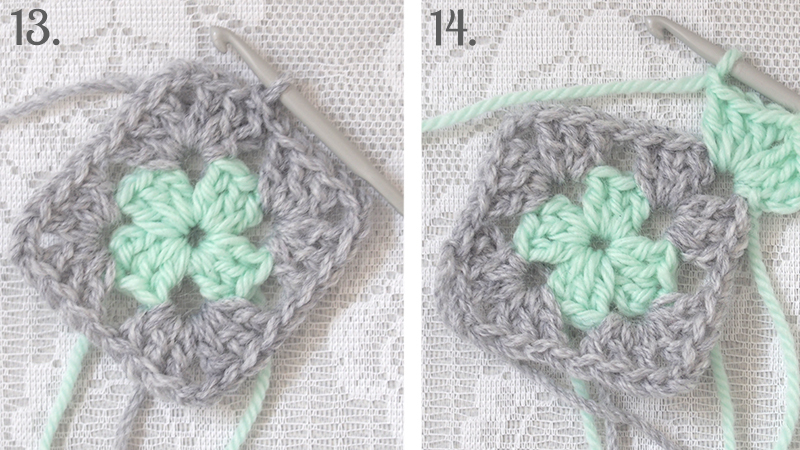 I hope this tutorial has help and inspired you to maybe crochet a granny square blanket of your own! If you have any questions leave a comment and I will hopefully be able to answer them. 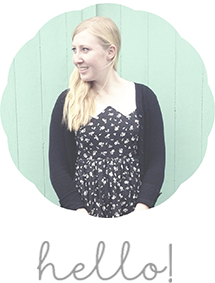 Also, let me know if you do have a go, I would love to see it!